What does ‘Messiah’ mean? Who is the Messiah? Jesus-Islam » Jesus Christ » What does ‘Messiah’ mean? Who is the Messiah? It’s a title that does not mean much to us, unless we discover its true meaning! 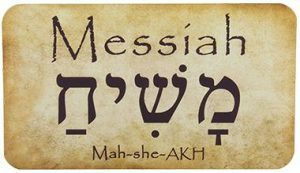 ‘Masîh’ is the Arabic form of the Hebrew word ‘mashiah’ or, as we say today, Messiah. We know that the Greek translation of this word is ‘Christos’, that is, ‘Christ’, and we know that it is one of the titles of Jesus. But we do not yet know what that means! If Jesus had been born among the Incas of South America, or in Japan, and had he told these people that he was the Messiah, how would they have reacted? They did not know the word or what it conveyed. Only the Jewish people knew that. They were waiting for the Messiah! It was only in their book that the name and concept of the Messiah were revealed. In the law of Moses the Almighty God had demanded that every person consecrated for a noble task should be anointed, that is to say, oil, enriched with a certain perfume was to be poured on him. He was to be anointed with that oil. This ritual signified something else, that the Holy Spirit of God was poured upon him to enable him to fulfil God’s will. Most often this ritual was performed to consecrate the priests, prophets and kings of Israel. The earlier revelations prophetically indicated that someone special would come to establish the reign of God, not only on the Jews, but also on all other nations. He would bring peace from God on earth. God, by the prophet Daniel (around 600 BC), revealed both this title and the time of the Messiah’s coming. The Jews had been waiting for the Messiah for a long time (although they rejected him when he did come!) The accounts of the birth of Jesus show us that a large number of devoted Jews were waiting in the temple for his appearance. They had read and understood Daniel’s prophecy. When Jesus came, he was recognized by many as the Messiah. The Koran adopts this title of Jesus without explaining it. To discover its meaning, we must resort to one available source, The New Testament or Injil. In the New Testament Jesus posed a crucial question to the Pharisees, his religious enemies. Since it is of primary importance to all of us, we still ask it today: What do you think of the Messiah? I am a disciple of Jesus Christ. I am like you. I want you to know who Jesus ​​is. It is important that no one deceives you on this subject. Perhaps you think he is a mere prophet, a good man, a man among many others. But He is unique. He is incomparable. There is no other person like Him who has lived in this world or who ever will. Judge it for yourself. What do you think of His wonderful birth? No one was ever born like him. He is Jesus the son of Mary. You are Ishmael the son of Abraham, John the son of Zechariah, Muhammad the son of Abdallah. All men take the name of their father. Why did Jesus take the name of his mother? Because he had no earthly father. He was born of the virgin Mary. He was born by the power of God without any human intervention. Seven hundred years before his birth, the prophet Isaiah foretold his coming. Everything happened exactly as it was foretold, as you can read in Matthew 1: 18-25; It is a part of the New Testament or Injil. God created Adam our father out of clay. We, as well as the prophets, are all sons of Adam. We are of this world. Jesus came down from heaven. He is called al Manzul: he who is descended. He was pure and spotless like snow and rain. All others are born of this world: dirty, unclean and stained with sin inherited from Adam. We are not sinners because we sin. We sin because we are sinners—that is, sinners by nature. Jesus Christ did not sin because He was sinless—that is, sinless by nature. He did not inherit the sinful and biased nature of Adam. Two men fell into the same pit. One said to the other, “Save me from this unfortunate situation. Please get me out of this dirt and mud.” The other replied: “Don’t be a fool. How can I? I am in the same sad situation as you.” They were both in the pit and neither could help the other. Then they heard a voice coming from above (out of the pit) telling them to seize the rope. The man who had not fallen into the pit was the only one who could save both of the other men. He offered helped to them from outside. Remember, the best of the prophets cannot not save us from the pit of sin, but Jesus had no sinful nature. He came from above. God sent angels to announce his birth (read Matthew 1:20, and Luke 2: 9;). This is wonderful! 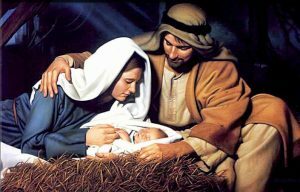 No man was conceived like Him. He is unique by His conception and birth. He is incomparable. What do you know about His character? He never sinned. He never committed any fault. He never asked for forgiveness. Every man who fears God must confess his sins and ask for forgiveness. David had done it. Abraham had done it. One prophet said he was asking for God’s grace seventy times a day. You can examine the Bible and the Koran anywhere and you will find nowhere a verse where Jesus asks for forgiveness. He did not need forgiveness because he was sinless. His closest companions wrote about him: “He did not know sin, he committed no sin, there was no sin in him.” They were men who knew Him well. God forgave the prophets when they confessed their sins. But Jesus did not need forgiveness. He was sinless. He even said to his adversaries, “Which of you convinces me of sin?” (5) Not one of them could testify to a single sin in his life. Who among us would dare to give such a challenge to our opponents? Jesus was brought before Judge Pilate and was unjustly accused. But Pilate did not find him guilty. Instead, he washed his hands and said, “I am free of the blood of this innocent person.” There is no other man without sin. He is the only prophet without sin. He is unique and incomparable. What do you think of his words? All the former prophets who preached about the promised Messiah came to show us the way to God. They said, “This is the way that leads to God: do this: follow this teaching, and follow the way: obey the commandments.” They said that one day the Messiah would come, and He would deal with sin, death and hell. They pointed to someone else. They did not point to themselves. What do you think of this wonderful invitation? He said, “Come to me, All ye that are burdened and weary, and I will give you rest. “(8) What do you think of his words? No man ever spoke like this man, he is unique, he is incomparable. There is no one like him in heaven or on earth. What do you think of His names and titles? Every prophet has his own special title. Abraham was called “the friend of God” (khalil Allah). Moses is called “He to whom God talked” (kalim Allah). Jesus is called the “Spirit of God” (ruh Allah) or the “Word of God” (kalimat’ullah). Tradition asigns 201 names to Mohammed including “Beloved of God” (habib Allah). Now who is most loved by a person, his friend (habib) His intelligence, his thought or his word, that is to say himself, be frank now, and let your own heart answer Yes, Jesus is called rûh Allah and kalimat’ullah in the New Testament. Let us read that God says about Jesus: “This is my beloved son, listen to him.” (9) I would like to ask you again this question: “Who is most loved by a person, his friend or his Son? “Of course, it is his son. To distinguish him from all the others, God called Jesus his Son. (10) What did God want to tell us? We say that a son is the image of his father. When we see Jesus, we know a lot about God. A son can take the place of his father and represent him. He can speak for his father. This is what Jesus did when He was called the Word of God. God spoke through him. (11) His titles are unique. He is incomparable. What do you think of His power? All power and authority have been given to him. Indeed, there is no work of God that was not done by Jesus when he was on earth. Who can raise the dead except God? Jesus raised the dead. Who can cure lepers except God? Jesus healed and purified the lepers. Who can open the eyes of the blind except God? Jesus did all this. He cured all sorts of diseases. No one was sent away by him as incurable. He expelled evil spirits by a word. He changed the lives of men, saving them from the power and influence of their sins. Many of the prophets performed miracles and healed people in the name of God, but Jesus never healed in the name of God. He healed men and women by His own name and His own power. He said, “I say to you, get up and walk!” The man hadn’t walked for thirty-eight years. The man got up and walked. He never used medicine. He healed people in His own name and by His own power. A man called Lazarus was dead, buried and called Jesus. When Jesus arrived, Lazarus was already dead and buried four days ago. 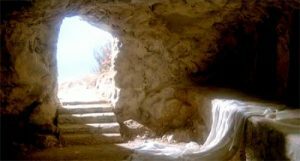 Jesus went to his grave and said, “Lazarus, come out.” (12) The dead man immediately came out of that grave alive. Jesus left us no doubt about his power to raise the dead. He said, “I am the resurrection and the life.” (13) The day approaches when all who are in the graves will hear his voice and come forth. You will come out of your grave on that day, as will Moses, Abraham and all the prophets. However, right now, Jesus is able to give you a new life. The life of God; eternal life. He is changing the lives of men all over the world today. He can transform your life. What do you think of His great power? He is unique, omnipotent and incomparable. What do you think of His suffering? He had never sinned and therefore he had no need to die. The wages of sin is death. He had no sin. He could go to heaven without dying. But he chose to die because of His love for others. He gave his life for us. 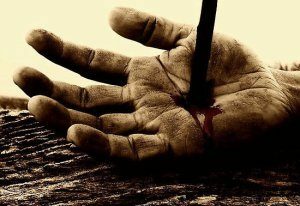 He died so that we might be forgiven. He died for us. He, the Good Shepherd, gave his life for the sheep. He was despised and rejected by men; a man of sorrows, and acquainted with grief; and as one from whom men hide their faces he was despised, and we esteemed him not. Surely he has borne our griefs and carried our sorrows; yet we esteemed him stricken, smitten by God, and afflicted. But he was wounded for our transgressions; he was crushed for our iniquities; upon him was the chastisement that brought us peace, and with his stripes we are healed. All we like sheep have gone astray; we have turned—every one—to his own way; and the LORD has laid on him the iniquity of us all. (18). No one died like him. He is incomparable, unique among men. What do you think of his victory over death? After his death, his body was placed in a tomb, firmly closed and guarded by his enemies. He rose from the dead and showed himself alive to his disciples, to Peter, to Mary, and then to more than five hundred persons. He rose again, as He had foretold. God wanted to show everyone that he had accepted the work of Jesus. All these people saw it. They touched him. They ate and drank with him after his resurrection. He showed them the wounds in his hands, his feet and his side. Death is a great enemy. You must die. I will die. The prophets died and remained dead. We can visit the tombs of some of them. Their graves are a testimony that death conquered them. Praise God, Jesus Christ overcame death. You could visit His tomb, but you will never find the dust of His body there. He is alive today. He is able to save all who come to God through him, because he lives in order to intercede for them. Is there another prophet who rose from death? Only Jesus Christ was physically raised from the dead. He is unique and incomparable. There is no one else like him on earth or in heaven. What do you think of His ascension? though he was in the form of God, did not count equality with God a thing to be grasped, but made himself nothing, taking the form of a servant, being born in the likeness of men. And being found in human form, he humbled himself by becoming obedient to the point of death, even death on a cross. Therefore God has highly exalted him and bestowed on him the name that is above every name, so that at the name of Jesus every knee should bow, in heaven and on earth and under the earth,and every tongue confess that Jesus Christ is Lord, to the glory of God the Father. Now, if I were to ask the Jewish community which one they would like to see occupy the highest place in heaven, they would probably say: “Moses.” If I were to ask the Muslims the same question, they would say, “Muhammad.” If I asked this question to the Christians, they would say, “Jesus.” Yet God has consulted eith Jews, Muslims or Christians! He decided who would have first place in heaven. God highly exalted Jesus and gave him a name that is above every name. This is the work of God: every knee must bow before him. What do you think of His return to this world? All the disciples of Christ are waiting for him. 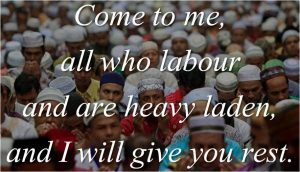 Muslims believe that he will come back to rule. But, He will return to take his people to be with him in heaven. He returns to reign over all the earth. He is the King of this earth. He must prevail until all his opponents are put under his feet. Some people say he will reign for forty years. God says He is King of kings and Lord of lords, and that He will reign forever over a new heavens and a new earth. I believe God. Yes, He is coming back. Everyone will recognize that He is the King of kings and the Lord of lords. He comes. You will stand before Him. He will be your judge. When you see Him face-to-face, He will ask, “What did you think of me?” What will be your answer? If you say, “I believed you were just a prophet among others,” He will still ask you why you have not followed his commandments, and you will be condemned because you believed that he is simply a prophet among many others, when he is truly incomparable, the only Savior. Who will come to reign? Will it be Moses, Abraham, David or another prophet? No, the Lord Jesus will return and he will be the judge. God gives this assurance to all men in that He raised Him from the dead. He is coming and every eye will see Him! Today, through the Gospel, the Injil, He says, “Come to me … and I will give you rest.” (21) He calls you today. When He called his first disciples, they left their homes, their parents, their jobs, all they had to follow Him. He calls you to follow him. He invites you to trust in Him, to believe in him as your Savior, to give your whole life to Him as your Lord. He asks for everything. If He is the one He says He is, His claim to your unreserved and wholehearted trust and obedience are absolute. He is unique and incomparable by his birth, his life and exemplary character, his unique titles, his marvellous words, his supreme power, his sufferings and his death. He lives today, he is with those who believe in him. He intercedes in heaven for those who believe in him. He’s coming back soon. There is no one like him in heaven and on earth. Therefore, he invites you to accept him as King and Lord of your life.